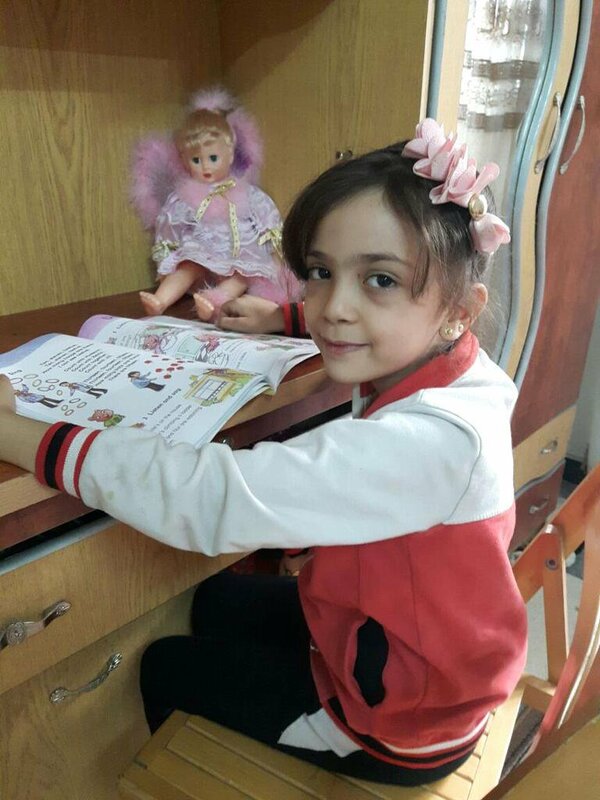 A 7 year old Syrian girl who has captured the internet's heart while tweeting about the war in her Aleppo neighbourhood has lost her home after it was bombed last night. 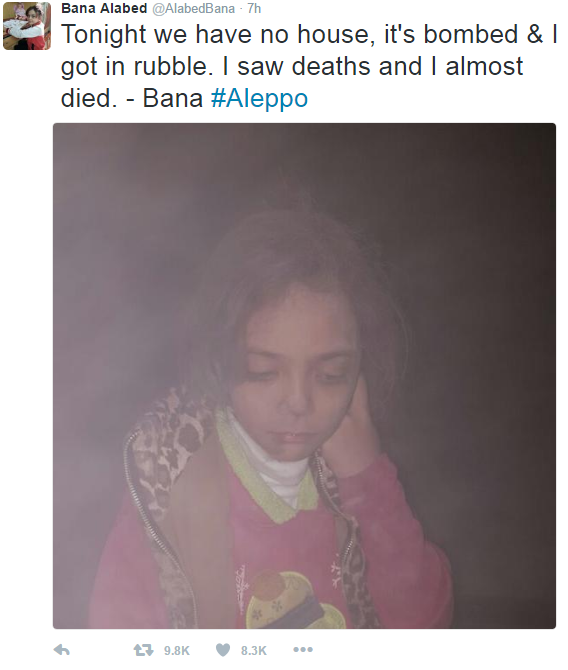 In an account managed by herself and her mum,Bana Alabed tweeted at her 129,000 followers on social media she was now homeless after the bombing . This comes days after author JK Rowling sent her the entire series of Harry Potter books digitally after the girl earlier posted she reads "to forget the war". 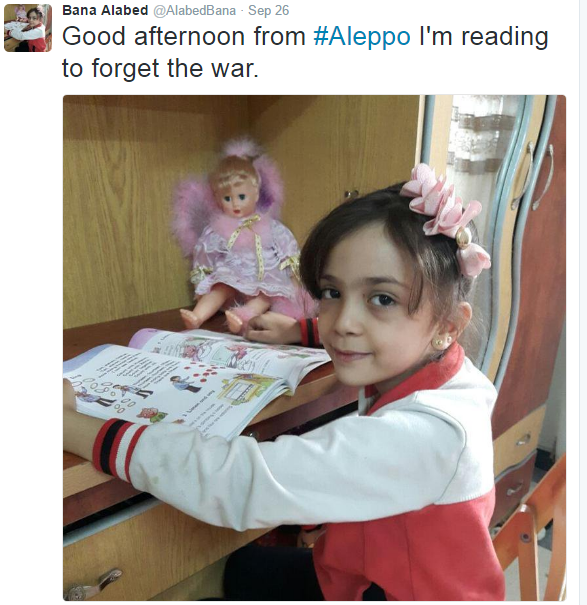 The little girl often tweets about the happenings in the war torn city ,and even tweeted about the deaths of friends near their house. Her mother Fatema, a teacher, signs off on some posts but most seem to be by the little girl and is signed off with her name, Bana.